The negative impacts of the meat industry are slowly being exposed for the general public to see—from the vast resources required to feed cows to speculations about its effects on climate change. But now, there’s a new menace more tangible than ever before: the complete decimation of life in our oceans. 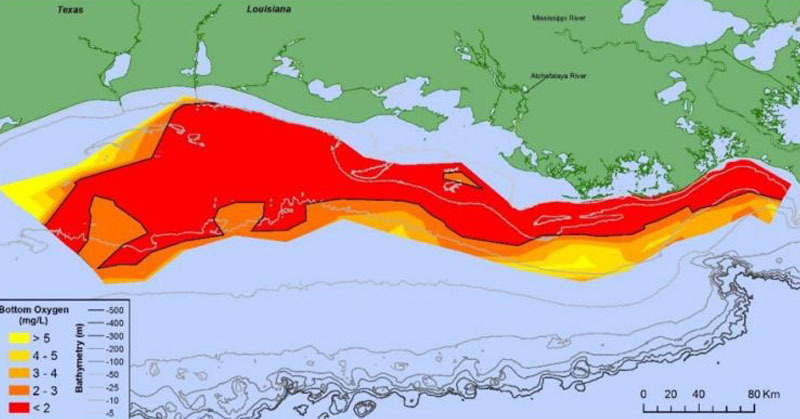 Recently, it was revealed that the Gulf of Mexico was home to one of the largest dead zones ever witnessed. A dead zone is an area in which there is little to no sea life—and according to the environmentalist group “Mighty Earth”, they’ve just traced it all the way back one of America’s largest meat producers: Tyson Foods. 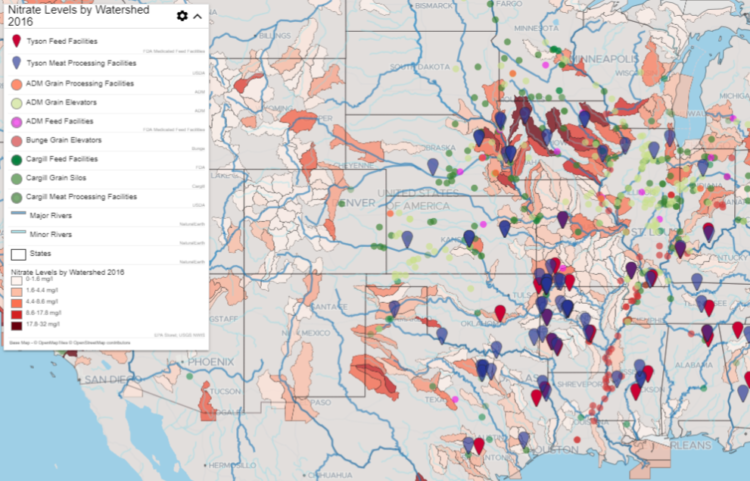 Nitrates and toxins emanating from numerous farms have been leaking into rivers, which eventually make their way into the Gulf. The increase in nitrates and toxins leads to a large increase in the amount of phytoplankton and algae—when both of these life forms die, they attract bacteria, which then consume the oxygen in the water. The oxygen-deprived water then becomes inhabitable for most lifeforms, driving them out of the area and creating what has now become an 8,200 square mile dead zone in the Gulf of Mexico. Might Earth’s investigation then used a unique method to determine which companies were prompting farms to increase production which, by extension, increased toxins in local streams and rivers. “To identify the companies responsible, the investigation maps the supply chains of the top meat and feed companies, and overlays it with data showing elevated nitrate concentrations in waterways that are experiencing high levels of fertilizer pollution,” reads the Might Earth press release. “America’s largest meat company, Tyson Foods, stood out for its expansive footprint in all the regions suffering the worst pollution impacts from industrial meat and feed production,” reads the press release. “Tyson produces one out of every five pounds of meat produced in the United States, and owns brands like Jimmy Dean, Hillshire Farm, Ball Park, and Sara Lee, in addition to selling to fast food retailers like McDonalds. 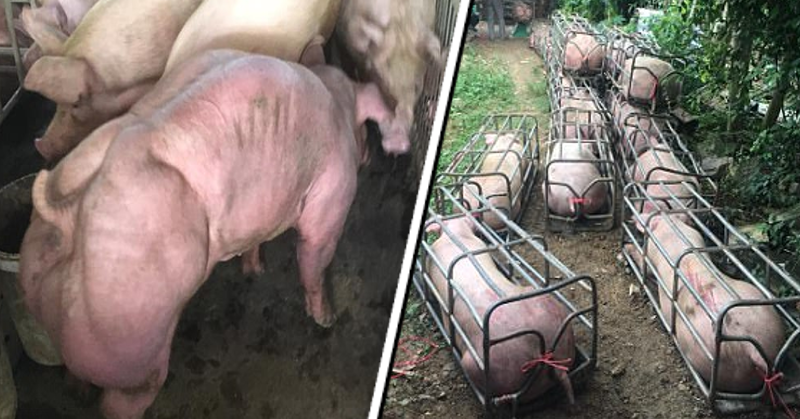 The revelations are just further proof that mass-production meat entails serious problems for the environment.